Coffee, the daily vice of people all over the world. It is everywhere: your home, your office, and what seems like every third shop in town. Looking out the window at the office I can see only one coffee shop, MOJO in the Old Bank Arcade. However just out of sight in the Old Bank Arcade is Starbucks and Smith the Grocer Café, both vendors of the caffeinated beverage. One building, three places to buy a long black or a flat white, New Zealand’s signature ways to drink coffee. Upon arriving in New Zealand from the USA I noticed one big difference in the coffee culture, size. Back in the states the sizes for coffee range from 355 mL to 900 mL, but here nobody carries a cup bigger than 355 mL. New Zealand drinks mostly espresso coffee. In the USA most people drink drip coffee (filter). The most common espresso extraction is a double shot, measuring in at 60 mL, a tiny amount of liquid when compared to drip coffee. The size difference is probably not surprising to most New Zealanders because of the USA’s reputation. Having grown up around drip coffee, the mainstream nature of espresso took me by surprise. Roasting coffee beans is an essential step in the process from plant to cup. New Zealand does not grow any coffee, so it therefore imports 100% of its coffee supply from other countries. New Zealand does however roast a lot of coffee beans. Many café chains roast their own beans. MOJO, mentioned earlier roasts its own beans. MOJO uses beans from Brazil, Colombia, Ethiopia, Guatemala, Papua New Guinea, and Tanzania. This list is filled with exotic foreign countries that in the coffee industry are not that exotic. Brazil is the world leader in coffee production and the rest of the list are all in the top twenty countries for coffee production. Muffin Break, the highest rated coffee chain in NZ by Canstar Blue, sources its beans from a similar list of countries, with only slight differences: Brazil, Ethiopia, East Timor, Guatemala, Honduras, India, Mexico, and Nicaragua. To me, he name that stands out in that list is East Timor, a small country (pop. 1.3 mil) that occupies half an island right in the middle of Indonesia. About one quarter of their GDP is from coffee exportation. One corporation Timorcorp Ltd exports 50% of the country’s coffee, shipping it all over the world. Certainly exotic, but East Timor is just one of many small exotic coffee exporting nations. While many coffee roasters do tell where their beans are from, many do not. Which begs the question why? Do they not know where their beans come from? The list of places where they could have come from is very finite. Coffee Culture, a chain café selects “only the finest Arabica beans from all over the planet”. That language makes me think that they have no idea where their beans come from apart from the planet. To some roasters location is everything, to others it means nothing. Roasters have to be getting their beans from the same countries, but they use wildly different language to market it. John Burton Ltd imports specialty coffee into New Zealand. They import 30-40% of all the coffee in New Zealand, and 50-60% of the specialty coffee. They source beans from all over the world and import green beans for roasters to roast. The countries that they import from the most are Brazil and Colombia. Number one and three in coffee production worldwide respectively. I crawled the websites of over 150 coffee roasters in New Zealand and only 89 of them had a mention of the name of a coffee producing country. Most mentioned was Colombia, Ethiopia, and Brazil; 49, 43, and 42 times respectively. According to John Burton Ethiopian coffee is “expensive” to import into New Zealand. The prevalence of Ethiopian coffee says something about the quality of coffee in New Zealand. John Burton said that 80% of roasters will pick quality over price. Vietnam, the world’s second largest producer of coffee was only mentioned four times. Vietnam produces almost exclusively Robusta Coffee, which is more bitter and more acidic than Arabica. 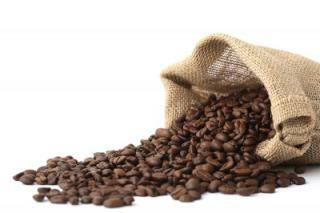 Robusta is commonly used in the USA as a filler in low quality blends. The low number of roasters that publically state that they use Vietnamese beans could mean two things. New Zealand coffee is almost entirely Arabica, or roasters are using Robusta beans to cut costs and no one is the wiser. According to industry insiders – and because the coffee industry in New Zealand is made up of hundreds of small roasters with a pennant for quality, unlike the huge multinational corporations that dominate the market in the USA – Robusta is almost certainly not used to cut costs by many roasters, as it is in the USA. A conclusion that I can definitively draw about the coffee industry in New Zealand is that coffee comes from all over the world, and that is the nature of coffee. The beans needed to make your long black came from some foreign land, and there is nothing special about them because all the beans in New Zealand came from some foreign land. It just so happens that coffee is only produced in countries with very different cultures than New Zealand. The brilliant people hired to market coffee emphasize the origin of the beans as a way to increase interest in their products. While in reality the roasters had no choice but to buy coffee from foreign lands. The coffee labeled “Colombian” really did come from Colombia, but don’t be tricked into thinking that it is rare or unique. An exotic name does not guarantee good quality coffee. Only good quality beans and a good roaster can guarantee good coffee. Hey Henry. Nice to be mentioned in your post. If you’d called, or been into one of our 18 stores (all independently owned and run by locals) you’d have seen our coffee packaging and ‘history of coffee’ artwork which details that we source our beans from Colombia, Papua New Guinea and Kenya. If you’d gone further onto our website you’d have seen a piece about our Charitable Foundation featuring our roasters visiting Papua New Guinea to establish a direct community partnership up there. To consider one page of our website as the full extent of our company’s marketing is lazy journalism. Your suggestion that our roasters don’t know where our beans come from is ludicrous, just because we used the phrase ‘all over the planet’ once on our website. Come on Henry. Come visit. I’ll shout you a coffee.